The four-part series uncovers the little-known stories that played a large role in determining the fate of the war and those who fought in it. Hitler's Madness shows medical experts and war historians explore recently discovered medical records that reveal tantalizing evidence about Hitler. In Hitler's General, witness the sensational rise and fall of Adolf's favorite general Erwin Rommel, a.k.a. the Desert Fox. Next, discover the secrets that were buried at sea when the pride of the German submarine fleet was sunk by U.S. forces in The Ghost of U-513. Lastly, get an inside look into the secret operations that took place in the shadows of WWII in Deadly Missions. 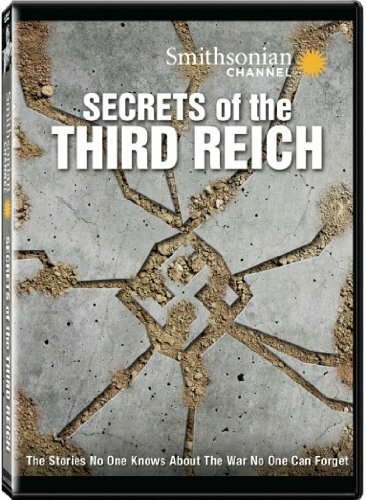 LOS ANGELES � May 1, 2014 � For Immediate Release � Go behind the scenes and into the minds of some of World War II's most infamous figures in the Smithsonian Channel: Secrets of the Third Reich , coming to DVD May 20 from Inception Media Group. The four-part series Secrets of the Third Reich uncovers the little-known stories that played a large role in determining the fate of the war and those who fought in it. Join us for Hitler's Madness as medical experts and war historians explore recently discovered medical records that reveal tantalizing evidence about Hitler and the controversial doctor he entrusted with his life. Could his personal physician be responsible for the dictator's extreme behavior or was he hired to kill the madman? In Hitler's General, witness the sensational rise and fall of Adolf's favorite general Erwin Rommel, a.k.a. the Desert Fox. From the battle victories in France and north Africa that lifted him to prominence to the fallout in the waning months of the war to the final decision he made to protect his family's honor and his legacy, discover the truth behind this morally conflicted, high-ranking member of the Nazi Army. Next, discover the secrets that were buried at sea when the pride of the German submarine fleet was sunk by U.S. forces in The Ghost of U-513. After more than 68 years underwater, witness her story, along with the 1,100 other U-boats that prowled the seas during World War II, that sent scores of sailors to their deaths. Lastly, brought to life through dramatic re-creations, rare archival footage and interviews with war historians and a German special forces veteran, get an inside look into the secret operations that took place in the shadows of WWII in Deadly Missions. Secrets of the Third Reich is presented in widescreen with an aspect ratio of 16 x 9 (1.78:1) and 5.1 digital surround sound.